Key Words: Railway history, comparative railway regulation, Railway’s Act, Convention. This paper provides an analysis of the main milestones in the regulatory policies adopted for the railway sector in Britain and France, with special focus on the British Railway’s Act and the French Convention, both of 1921. This regulatory process was relevant for the Spanish governments and business in those years. 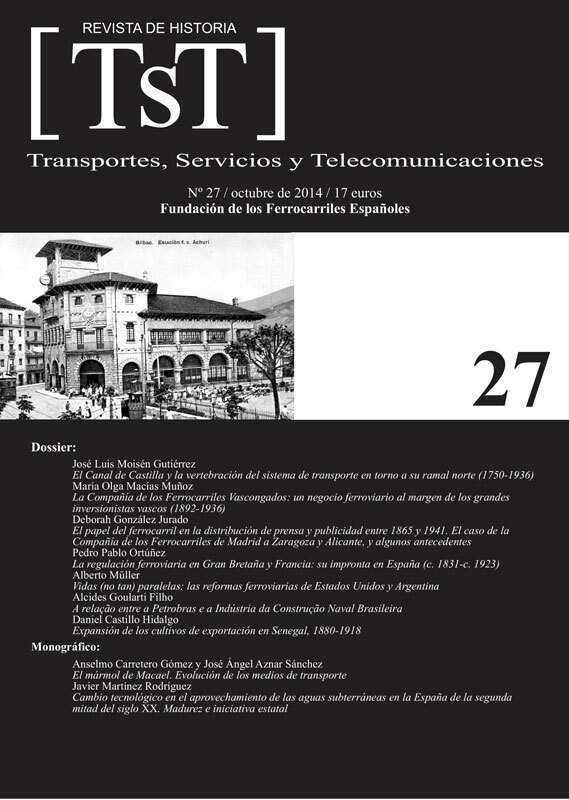 The studies focused on these two countries, and the way that they were considered exponents of two apparently opposed models by the large Spanish companies, were intended to influence the Spanish government when it tried to regulate railway transport and to resolve the “problema ferroviario”. We feel that the differences between the models were not so sharp, but it is true that the two countries economic contexts were different; and that some decisions, such as the structure of capital and financing with debt, may be of higher long-term relevance than other aspects. The analysis is ended in 1923, coinciding with the adoption of important measures which had influence on the Railway Statute of 1923.